One of the true legends of the British rock scene, Paul Raymond, died earlier today following a heart attack. He was 73 years old. 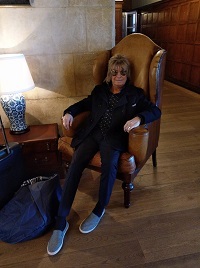 Raymond had been the keyboard player and second guitarist with UFO, with whom he had just completed the UK and Ireland leg of their ‘Last Orders’ 50th anniversary farewell tour, on and off since 1976. He played his last gig with the band at the O2 Forum in London just last week, on 5 April. “With a desperate and broken heart, fully in tears and pains that feel like they will kill me I have to tell you that my most beautiful and beloved darling Paul Raymond has passed away today. The doctors were trying to reanimate him and with success at first but then his system shot down again and there was nothing more they could do for him. He died of a heart attack. His bandmates in UFO said they were “shell-shocked” by the news. Raymond began his musical career in January 1964 as a jazz musician. He later replaced Christine McVie in British blues band Chicken Shack, before joining Savoy Brown as keyboardist/guitarist. He subsequently recorded with the former Fleetwood Mac guitarist Danny Kirwan, before getting the call from UFO in 1976. He also spent time in Michael Schenker’s MSG and Waysted, and also recorded a number of solo albums. We send our deepest condolences to Sandra and the rest of Paul’s family circle and the members of UFO.